There's often a sense that any given Sundance Film Festival—perhaps in keeping with the way everything about the movie industry feels—is chasing the previous year. In 2000, the year after The Blair Witch Project became a phenomenon, everyone was looking for the next viral sensation; in 2007, after Little Miss Sunshine, everyone was looking for the next crowd-pleasing hit. In 2014, Sundance produced two premieres—Boyhood and Whiplash—that collectively earned 11 Academy Award nominations. So, while plenty of people are always willing to let the festival unfold as it will, others keep looking for the thing that would make this year like last year: What would be the next Boyhood? What would be the next Whiplash? Of course, the irony is that what makes Sundance so distinctive is its role as a showcase for new talent—filmmakers who have their own voice and aren't "the next" anything except themselves. Certainly, you can see the influences on some of these new kids. Robert Eggers' unsettling horror yarn The Witch—set in the 17th-century colonial American wilderness, where a devout Puritan family faces a supernatural peril—evoked Stanley Kubrick in its tone and composition but added a disturbing portrait of the psychology of those who see a world awash in sin. And David Robert Mitchell's crackerjack supernatural thriller It Follows—which turns a murderous demonic entity into a sexually transmitted disease—may nod to 1980s horror movies, and in particular the works of John Carpenter, yet it also adds some unique feints and dodges to keep viewers hugging their armrests. And when the festival does showcase established filmmakers, you're still likely to see something completely singular. 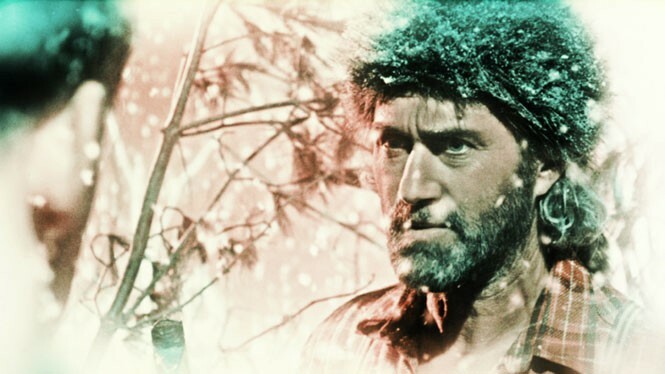 Sundance 2015's best feature was The Forbidden Room, from the demented mind of Canadian director Guy Maddin. Continuing Maddin's longtime fascination with the forms and conventions of 1920s and '30s cinema—from German Expressionism to silent-film intertitles—The Forbidden Room is a bizarre, hilarious series of nested narratives, beginning with an instructional video on "How to Take a Bath," continuing to the plight of men on a derelict submarine, and eventually involving everything from talking bananasto a finger-snapping contest. You have to be on a very particular wavelength of twisted comedy to connect with Maddin's brilliance—which is also true of animator Don Hertzfeldt, whose short film World of Tomorrow was the festival's most glorious creation. His story of a clone traveling back from the future to communicate with her genetic original—who happens to be a 4-year-old girl—finds Hertzfeldt doing his typical extraordinary job of swinging within the space of seconds from apocalyptic despair to joy at the potential of the human experience, and all with stick figures. It's also fairly crucial to explore the nonfiction side of Sundance, which has little connection to concern about winning awards a year from now. The U.S. Documentary competition category featured several terrific entries, from the stranger-than-fiction tale of a custody battle over a mummified amputated human leg getting a wonderfully human background in Finders Keepers, to the story of Gore Vidal and William F. Buckley Jr.'s infamous televised face-offs during the 1968 national political conventions becoming a seminal moment in partisan talking-head "news" in Best of Enemies. Better than all of them was World Documentary Competition entry Dark Horse, with director Louise Osmond capturing the remarkable story of how residents in a Welsh mining community collectively bought and raised a steeplechase race horse. Even as it tracked the kind of arc you'd expect from an inspirational sports drama, it turned the story's dips and twists—and the colorful real-life characters—into the stuff of a lump-in-the-throat crowd pleaser. But none of this will stop folks from wondering if Sundance will be represented in next year's awards season, and a couple of candidates did emerge. 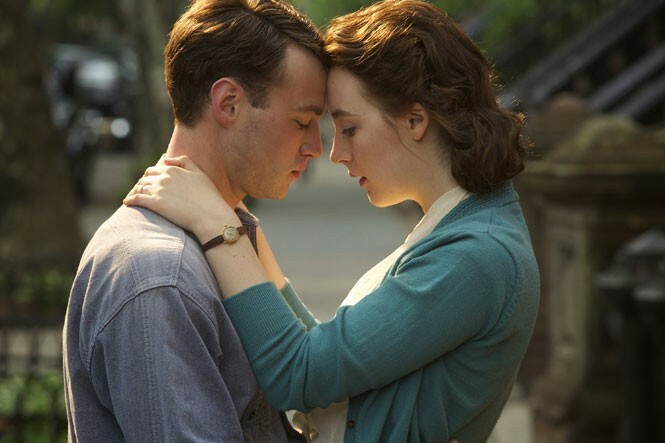 John Crowley's richly romantic adaptation of Colm Tóibín's novel Brooklyn—a 1950s period piece about an Irish immigrant adjusting to America—provided a showcase for Saoirse Ronan's growing talents as an actor, playing the lead character as a fascinating mix of watchfulness, homesickness and emerging self-confidence. And the festival's most widely loved entry was another adaptation, of Jesse Andrews' young-adult novel Me and Earl and the Dying Girl, splendidly directed by Alfonso Gomez-Rejon. Effective as comedy, tearjerker and surprisingly complex coming-of-age tale, Me and Earl took both the Grand Jury Prize and the Audience Award—just like Whiplash did in 2014. Which guarantees nothing, but maybe there are times when Sundance history repeats.